Posted by barrets on Thursday, January 24, 2019 in News, News & Events. the College of Arts and Science Dean’s Office. 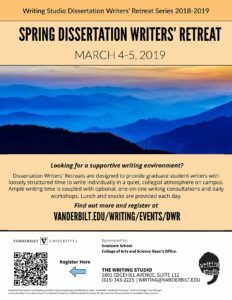 Over Spring Break, the Writing Studio will host a two-day dissertation writers’ retreat, which will provide dissertating graduate students with loosely-structured time to work individually in a quiet, collegial atmosphere. We will couple ample writing time with optional, one-on-one consultations and daily workshops. Lunch will be provided each day. A link to the application can be found here. Please be sure to complete the application by February 17. Space in the retreat is limited. We use your answers to these questions to select those applicants who seem most ready to benefit from the retreat’s format of loosely structured writing time. Those selected to participate will be invited by February 22 and asked to confirm their attendance by March 1. 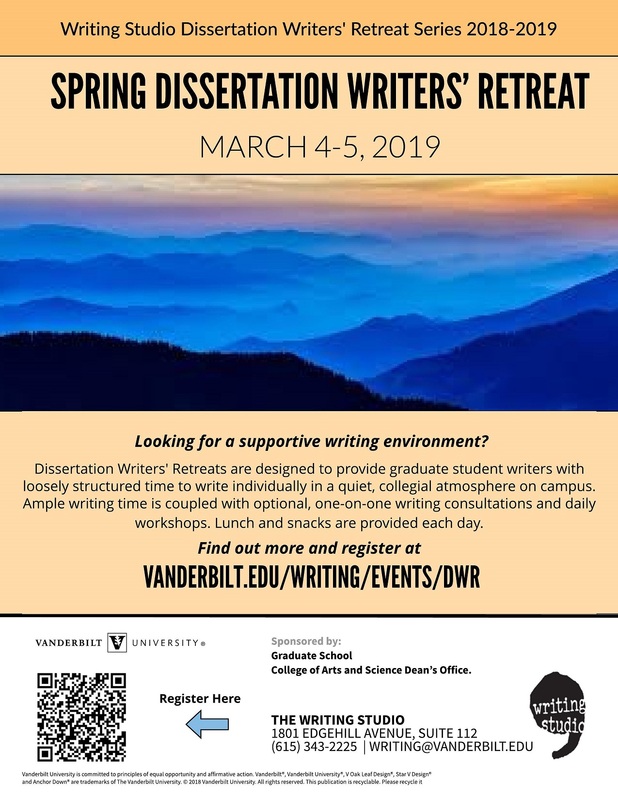 The Writing Studio will also host a summer retreat. Dates for this event are listed below.